These are a great quality sterling silver set of engraved tags. They make a great gift for that special person. 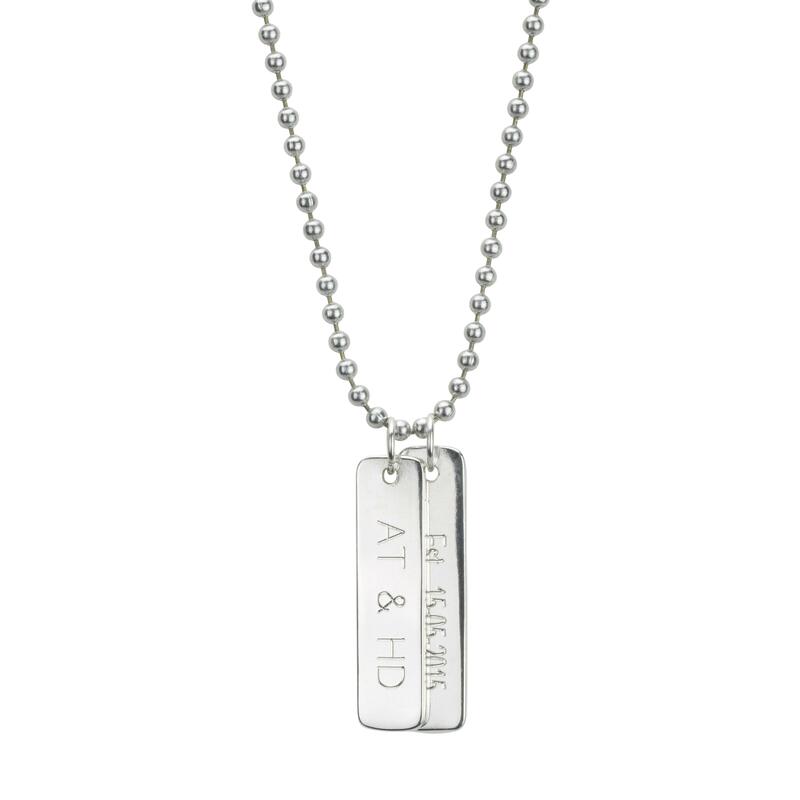 Created in Australia from sterling silver, the tags can be engraved with your names, words and or dates. Maximum characters is approx 15 if you need more characters per tag please contact us. The slim tags come with a 70cm silver tone chain. You can upgrade to a sterling silver chain by choosing from the drop down menu. Manufacturing time is approx 10 working days however we can make and send in the time frame you require. Please let us know if you need by a certain date. Made in Australia by Coolabah Charms.